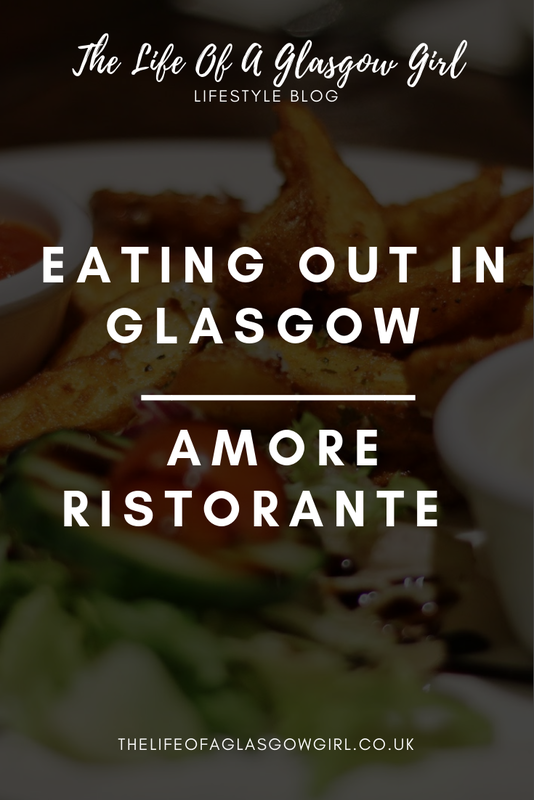 If you're looking for a fantastic Italian restaurant in Glasgow that has delicious food, friendly staff and a great atmosphere then Amore is the place to be. 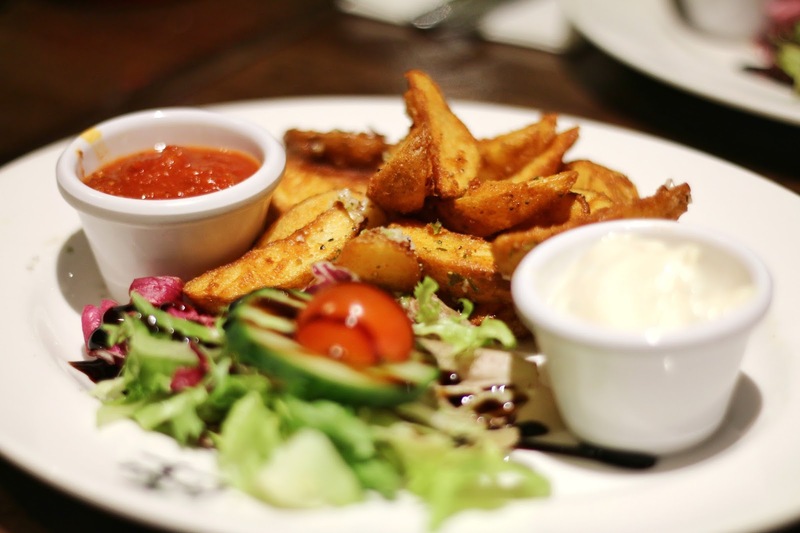 A great family run restaurant that offers a wide variety of food that you're bound to like, situated in the perfect spot it's a great choice for any meal out. Amore is the Italian word for ‘love’, but it is also related to ‘passion’, which Italians use commonly to emphasise the love for food and wine. This business is run by the Perella family, originally from the village of Picinisco in Southern Italy, with care and commitment. But the word ‘Amore’ has been chosen also as the name for the restaurant to homage the owner’s wife, as she generally uses this word to refer to her husband when, as he believes, she is in ‘a good mood’... Taken from amoreglasgow.co.uk "
I went along to Amore the other week and I had already heard so much about the place, A few of my friends have been and said the food was fantastic so I was really excited to try it for myself. The restaurant was super busy upon arrival and full of smiles as the staff were there to great us at the door. I noticed straight away that there were hardly any empty tables as there was a sea of laughter, glasses clinking and families having a lovely Friday night out. It was a sight to see and it instantly put me in a good mood, no one was bothered about their surroundings, completely engulfed by the moment with friends and food. Stephen and I sat down at our table which was nicely tucked away in the corner and I thought to myself, did they read my mind? 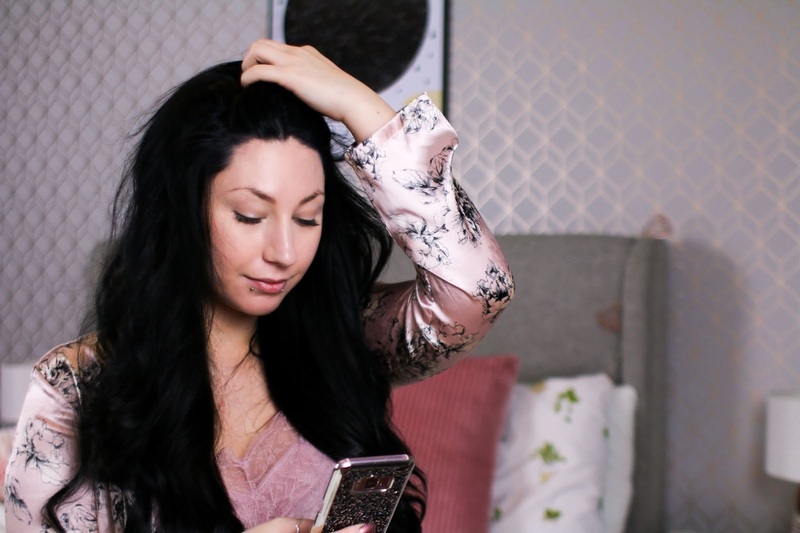 Since I have quite bad anxiety I like to be tucked away from plain view, in a nice little corner so I can enjoy myself and that's exactly what I got. 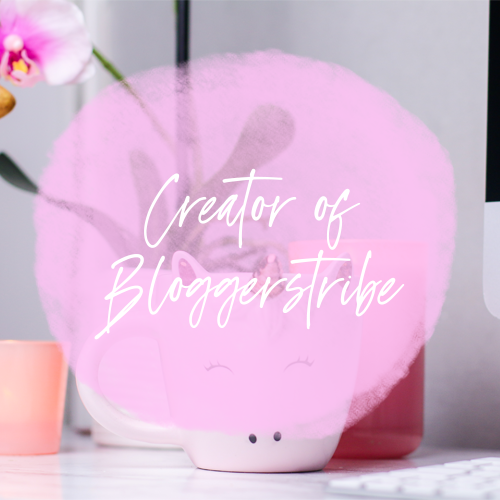 The server who came and took our drink order was full of smiles as we decided on what to get, at first we felt spoiled for choice and thought maybe an alcoholic drink was in order to get the night off to a good start. I opted for a WooWoo and I have to say, it tasted marvellous. It took us a little while to choose exactly what we wanted to eat because the menu was filled with excellent choices. For starters we opted for the Potato wedges, I hadn't had them in so long and as soon as I saw they were on the menu I knew I had to have them, Stephen got the same as that's his favourite starter to get anywhere we go. The potato wedges are fried with garlic and olive oil then served with a beef chilli dip and garlic mayonnaise with a small side salad. Both of us thought the wedges were utter perfection and that's why we ate every piece. I'm not a fan of chilli so that dip wasn't for me unfortunately but I can imagine it would be the prefect accompaniment to these wedges for any chilli fan plus it has that nice hint of beef to it. I was a big fan of the garlic mayonnaise, I finished mine then stole Stephens because it was seriously yummy. I really loved the potato wedges and would definitely recommend them as a starter, they were super tasty and filled a lovely little hole in my stomach, for £4.95 I would say it's worth it. For the mains I opted to have the Spaghetti Carbonara which is cooked with strips of succulent bacon, garlic, white wine, black pepper, egg yolk and cream. I was extremely surprised at the portion size, it was enough to feed four to be honest. The generous portion size makes this dish worth the price which comes in at £10.25, I would have no trouble paying that for this as I feel you get your moneys worth. 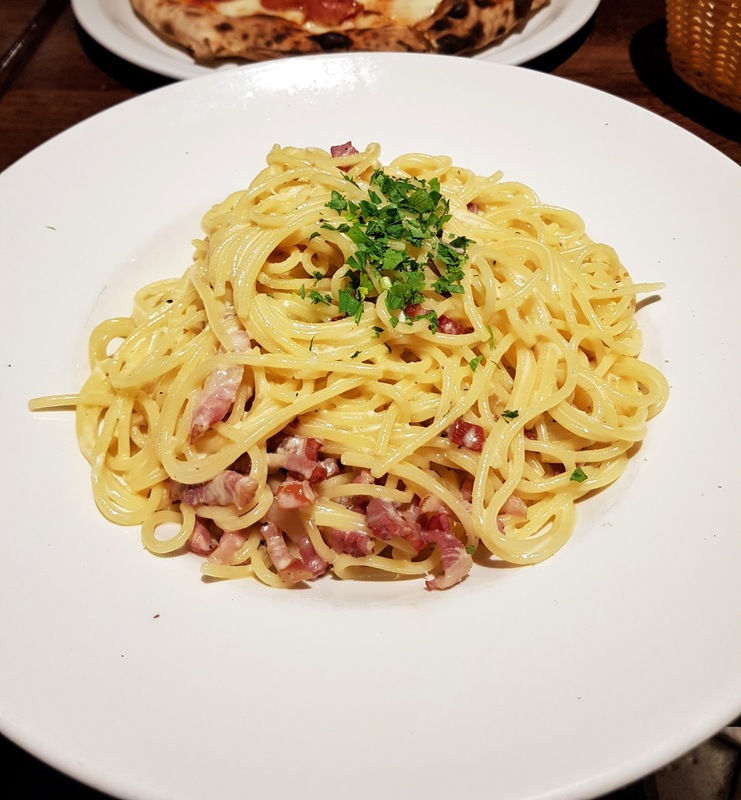 Not only does the portion size make it a great choice it's also super tasty, I love carbonara and Amore definitely make a good one. For Stephens main he went for the Double Pepperoni pizza, I was expecting it be quite a good size to begin with and it was, when it was sat in front of him I could see his eyes light up (Stephen is a huge foodie, he could eat non stop for a day) from what I gathered I think he enjoyed the pizza but surprisingly it defeated him as he wasn't able to eat the full lot. Along with our mains we got a side of sweet potato fried and garlic bread, I think our eyes were bigger than our bellies if I'm honest because although we had a good go at all of it, we were super full. The sweet potato fries were just heavenly, I was in my element with them. 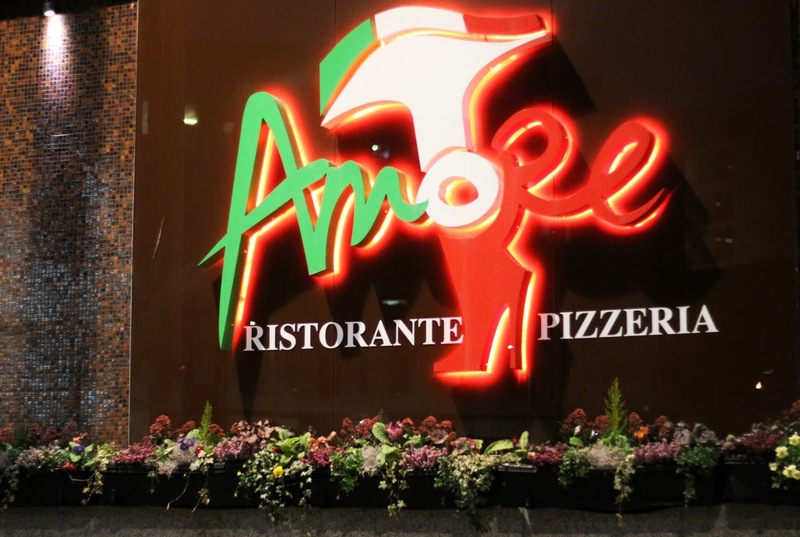 Amore is definitely a great place to go if you love Italian food, there are a few different menus with different price ranges which makes it a good choice. The restaurant is also child friendly which I liked because having a son myself it opens up more choice for places to eat, their kids menu looks really good and I know I'll be able to get something for Little bear if we go. I am so pleased at the fact I was able to go along to Amore, I'm glad I got to experience the fabulous food and friendly service, I know I'll be back again, especially for that carbonara. 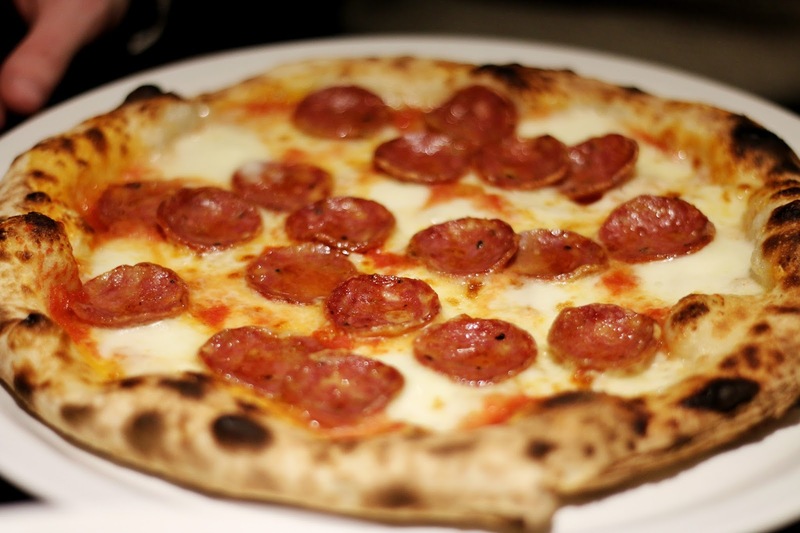 You can find Amore Ristorante at 30 Ingram Street, G1 1EZ, Merchant City, Glasgow. I adore Italian food so I would be in heaven here! I love a potato wedge so would probably have gone for that starter too. That sounds like a really great restaurant. It's always a good sign when there are no empty tables. And it sounds like great value too! I love italian food - it's definitely my favourite cuisine. I'm sitting eating my breakfast right now but I still want to eat that pizza - it looks amazing. I have a lot of friends and family in Glasgow so I'll tell them to check it out. Oh I love Glasgow so I'm always happy to discover a new place to eat. This looks great. Oooh, I love Italian food. That Carbonara looks amazing - I am rather partial to them. This sounds (and looks) like a great place to eat. The atmosphere says a lot about a restaurant if you ask me.